The Generated Resource Learning (GRL) pedagogy was conceptualized by Dr. Pascal Chazot at MGIS with researchers from University of Paris 13. It is an innovative teaching methodology inspired from the educational theories of Piaget, Vygotsky, Dewey, Freinet, Erikson, Krishnamurti, Kakar and of course Gandhi after whom the school is named. The pedagogy also draws from different practices such as Neuro-Linguistic Programming, Gestalt, mindfulness etc. The active learning strategies and experiential pedagogy in this methodology requires children to undertake projects linked to their own real life context, using an enquiry based and problem solving approach. GRL can be summarised as a pedagogy of a spiral experiential learning. Subject knowledge is delivered through a concept based curriculum and is integrated in a multi-disciplinary way through class projects that are meaningful, relevant, engaging. GRL pedagogy uses available material and immaterial resources that include the body, different senses, space and movement. The learning process is based on a physical and human interation between the child and her/his environment. Children learn to research autonomously and present work with academic rigour. They create outcomes of professional standards such as films, calendars, food, products, booklets, ebooks, apps, 3D models, presentations etc. that become a resource for further learning by the same group or another group. The core philosophy of the school is to use the diversity of the class group as a learning tool. The school thus integrates students from diverse socio-economic backgrounds as well as diverse abilities into the mainstream classroom. As a precursor to the Right to Education Act, MGIS has been providing equal opportunities and inclusive education and has been reaching out to all sections of society including the elite and economically disadvantaged. MGIS has become a site of study for different boards including NCERT and CBSE. Educators and students enrolled in B.Ed Colleges in Gujarat and abroad come to study the school’s innovative practices. Teacher trainings anchored in the tenets of Generated Resources Learning are expanding to many schools in India and Europe. The school has been a recipient of the British Council International School Award for three consecutive times and has been awarded twice by the UK-India Education and Research Initiative Grant. MGIS provides skill based teacher trainings to hundreds of teachers across Gujarat in partnership with Dudley College, UK. Researchers from several universities such as Sciences Po, CEPT University, National Institute of Design and University of Toulouse 2 have done research at MGIS. Faculty and the school have been recognised by the Election Commission of India, Pearson Teacher Award, Apple Distinguished Educator, World Education Summit, Assocham Excellence Awards among others. MGIS has been evaluated by several agencies and has been ranked as one of the best schools in Ahmedabad, Gujarat and India by several agencies. MGIS students are able to create outcomes that stand the litmus test of the real world and have received local, national and international awards. The Café Project is an innovative pedagogical project helping the students to merge their academic curriculum with real-life experiences. 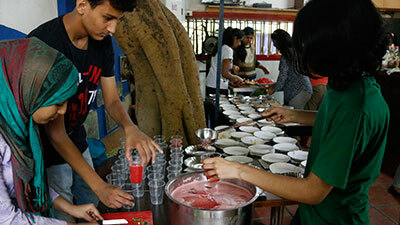 The students plan, cook and sell meals at the school café, while the learning subjects like science, math, humanities and learning skills like communication and organisation. The school has developed an effective body awareness module to address sexual education at school level to help adolescents develop a healthy attitude and a positive self-image through a scientific and artistic understanding of the human body and the reproductive system, through a multisensorial approach. 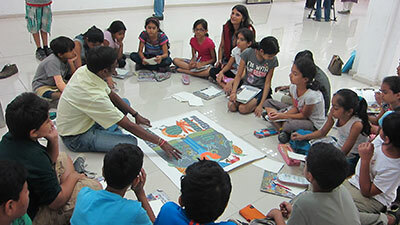 Personalising the city, students gain an insight into the city’s civic systems, architecture, language (Gujarati), culture etc. 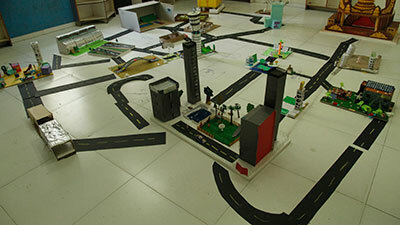 They create 3D models of buildings and radio shows about the city, create an Amdavad diary, edit Wikipedia pages, organise a photo walk in the city, meet civic authorities etc. The students create a calendar of the upcoming year, centered around a shared topic of interest like festivals in order to gain transversal skills. Students merge research, learning and creativity by identifying, exploring and presenting information through models, photographs, written text etc. Reading, being a foundational skill, is inculcated to the students from the primary years. A global to particular, multisensorial approach has been developed by the school to make the learning experience joyful and stimulating for the students as they learn how to read. Basic concept building is a crucial part of primary years’ education. To make the process more engaging and understandable for the students, the teachers create innovative teaching methods, making use of easily available materials like multi-colored beads, paper plates etc. 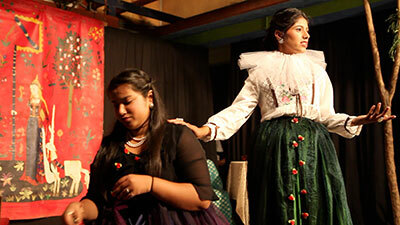 Theatre productions and performances are an integral part of the Theatre Arts course offered to the students of Diploma Program and is an important teaching tool used in all classes. 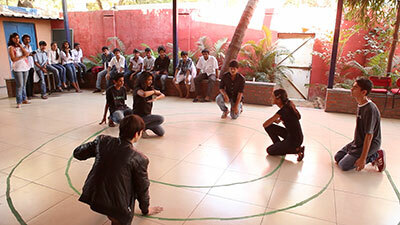 The students learn several aspects of theatre like scripting, lighting, acting, etc. 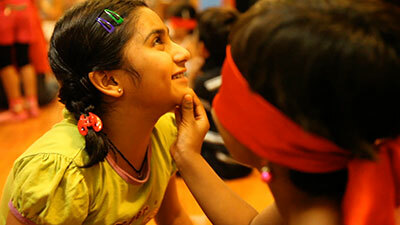 and put them into practice by devising powerful pieces of performance as part of inter-disciplianry projects. 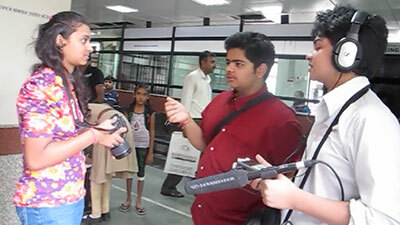 Students of higher secondary section are offered a course in filmmaking, where they explore its technical and creative aspects. They take up an active role in both learning and devising the teaching methods, as they create educational films, enhancing their learning experience and subject understanding in science, language, mathematics, art and technology. Students usually find it difficult to understand the abstract and scientific cognitive concept of atoms and elements and its classification in the Periodic Table. Concrete pedagogical tools, visual memorization techniques, spatial understanding etc. are used to make the learning easier and fun. MGIS students have created content for several projects including the Systematic Voter Education and Electoral Participation Campaign, Young Voter’s Festival, NERP, NERPAP, No Voter to Be Left Behind etc. which have been used during the Lok Sabha Elections and Legislative Assembly Elections in Gujarat. 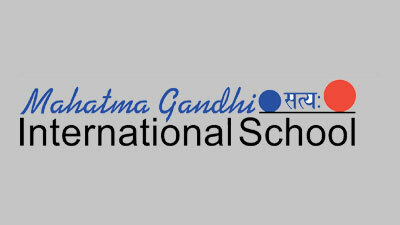 MGIS is the only school in India to have received the prestigious, National Civil Society Award. 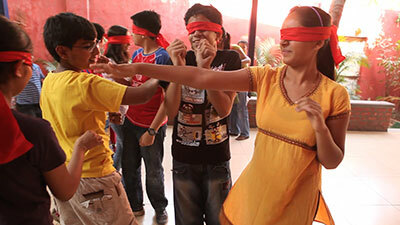 MGIS delivers the curriculum through film in secondary classes. Projects with real life links are undertaken. Shri. Guruprasad Mohapatra, the then Municipal Commissioner in Ahmedabad Municipal Corporation (AMC) invited MGIS to participate in the International Solid Waste Association Video Award 2013 as official entries from AMC. Makalp Patel won the third prize. MGIS uses the Pourquoi Pas audio-visual method to teach communicative French to first time learners using a structuro-global methodology. With recorded audio, audio-visual situations, worksheets and structured activities that gradually build on language competence, learning is spiral and global. It progresses from listening and speaking skills to reading and writing skills.